Toxins from household fungi can easily become airborne. Researchers said the area is understudied. They published the results Friday in the American Society for Microbiology’s journal Applied and Environmental Microbiology. “The presence of mycotoxins in indoors should be taken into consideration as an important parameter of air quality,” Bailly said. A deadly fungal infection, invasive aspergillosis should be diagnosed early to improve care, according to new guidelines from IDSA. New and improved therapies are expanding treatment options. 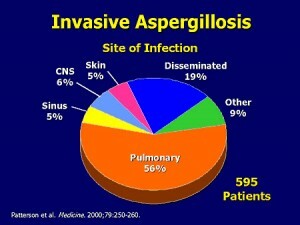 Immunocompromised patients are at highest risk for invasive aspergillosis. The mortality rate in those patients is 40 percent or higher. Aspergillus is a mold that is in the air we breathe, particularly in air conditioning units and flood-damaged areas. 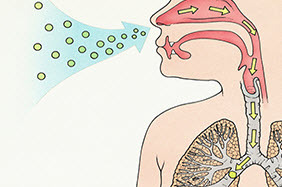 In addition to the invasive form, aspergillus can cause chronic and allergic forms of disease.